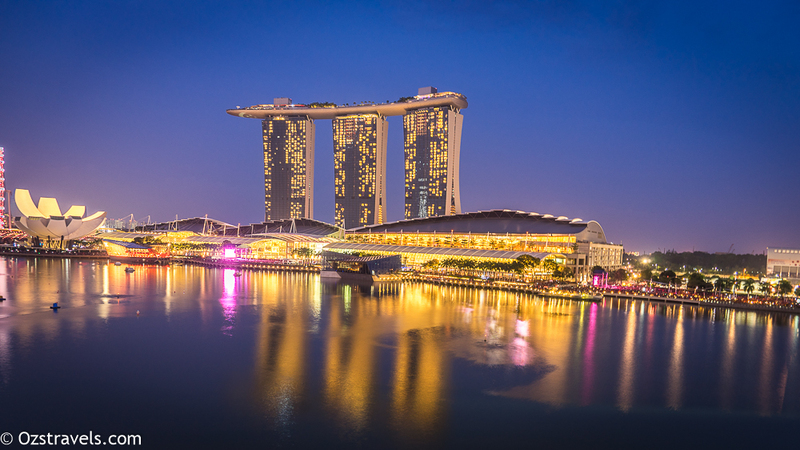 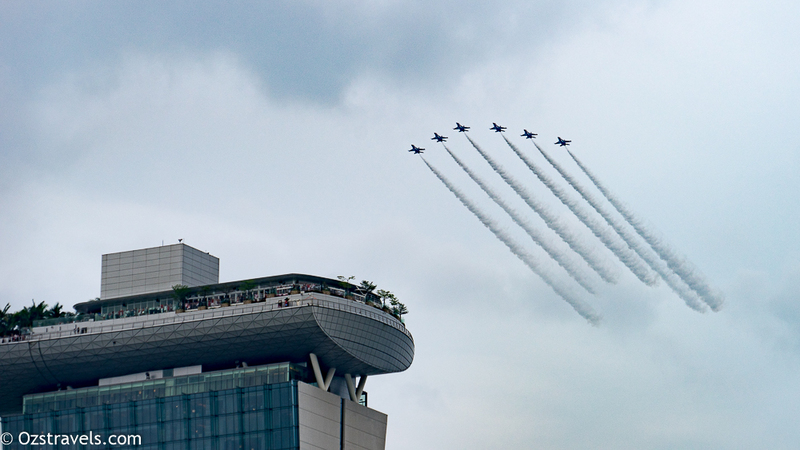 SG50 National Day, celebrating the 50th anniversary of the creation of the Republic of Singapore. 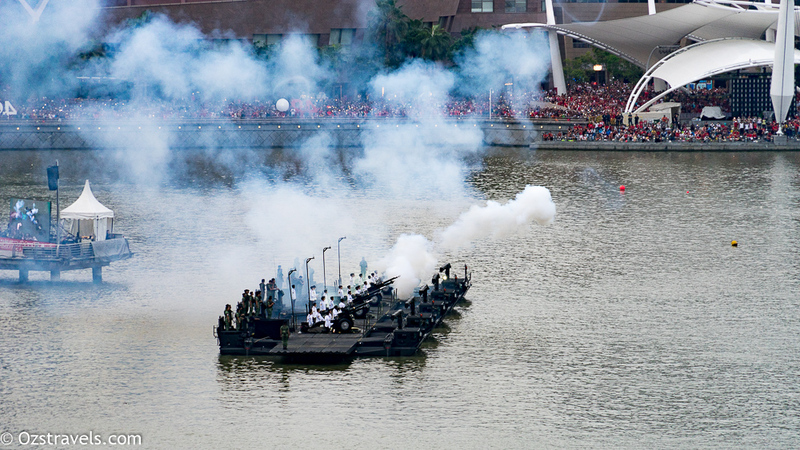 Singapore’s National Day is 09 August. 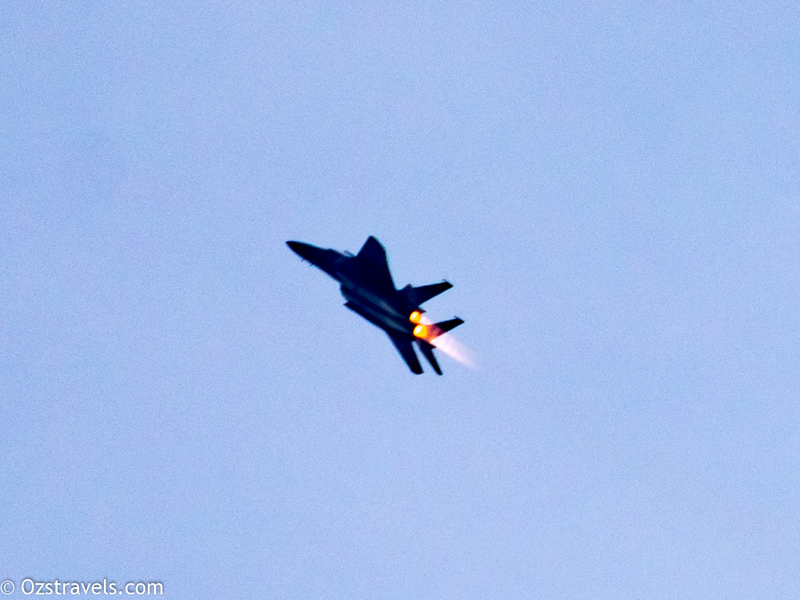 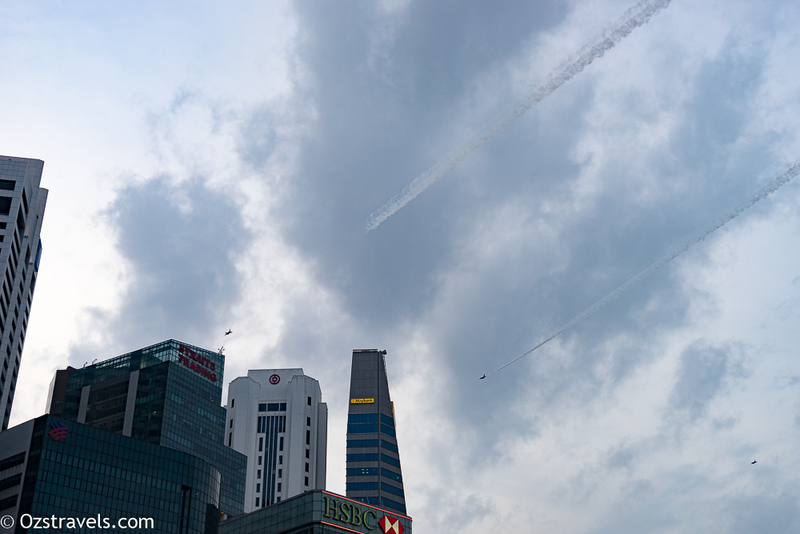 As I had no chance to get into the Padang, where the official celebration was being held, I jumped at the chance to spend the night with friends at a bar in Marina Bay where we would have a prime location to watch the fireworks display and the fly-pasts / aerial displays. 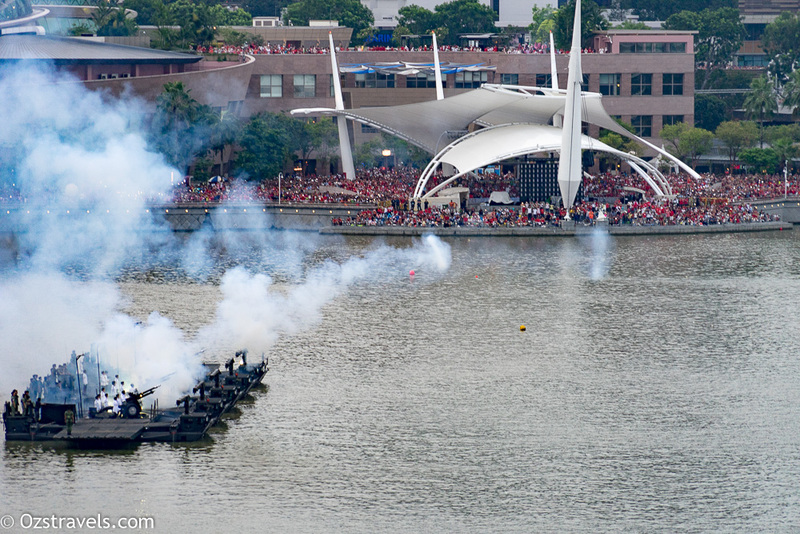 My comments about the bar are fairly negative, so I won’t mention the place, but it was one of the best locations to be to view the fireworks and aerial show. 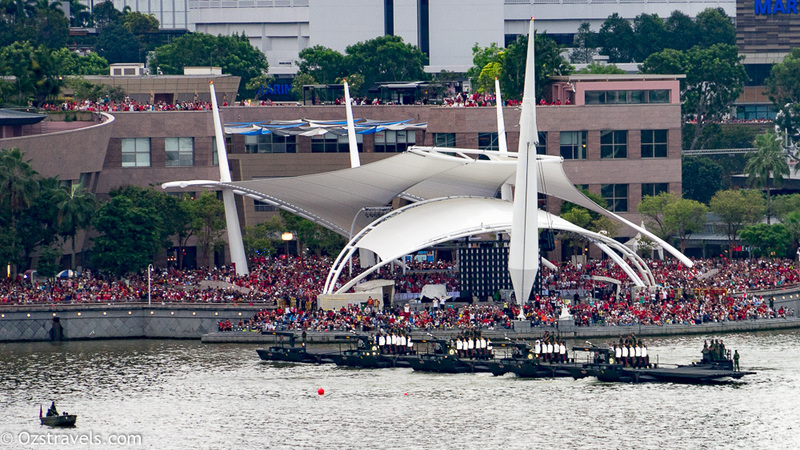 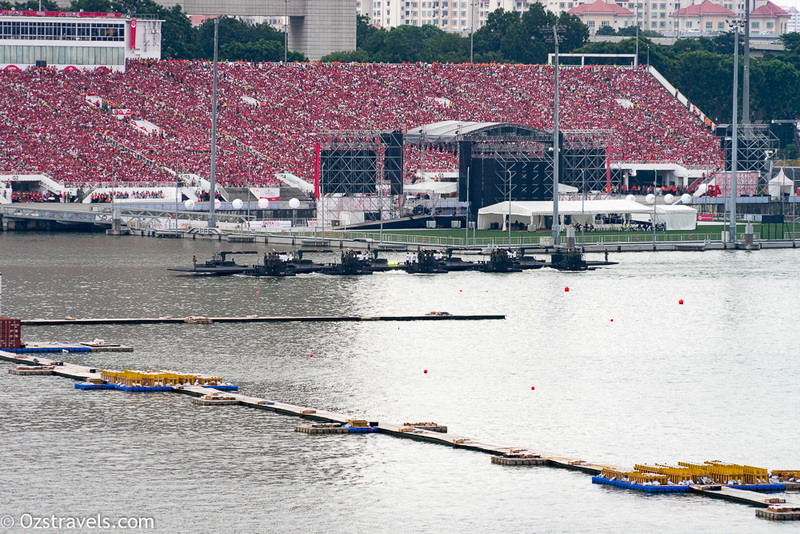 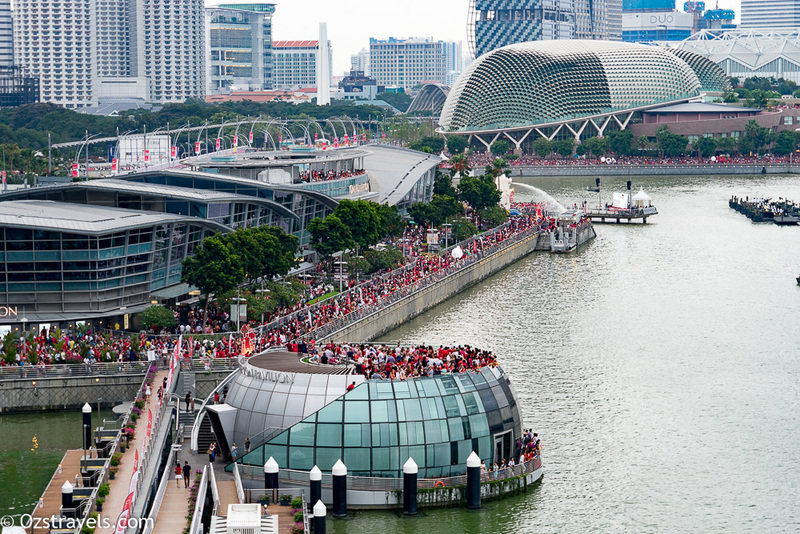 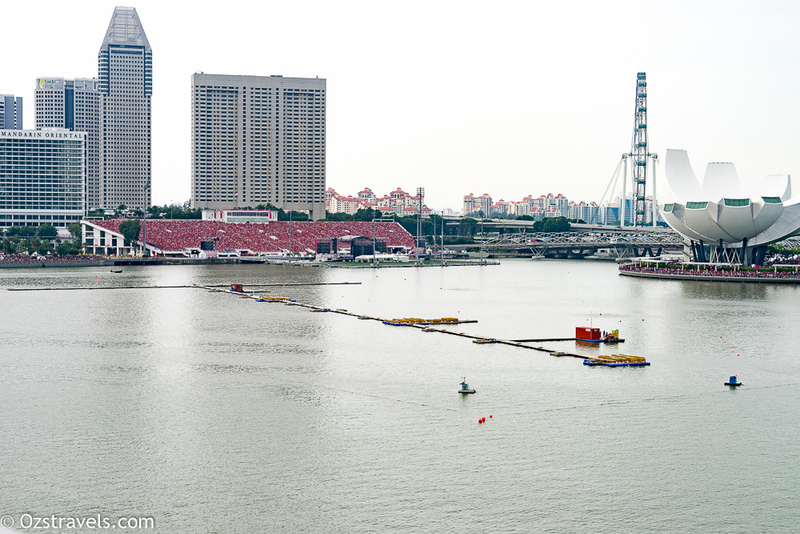 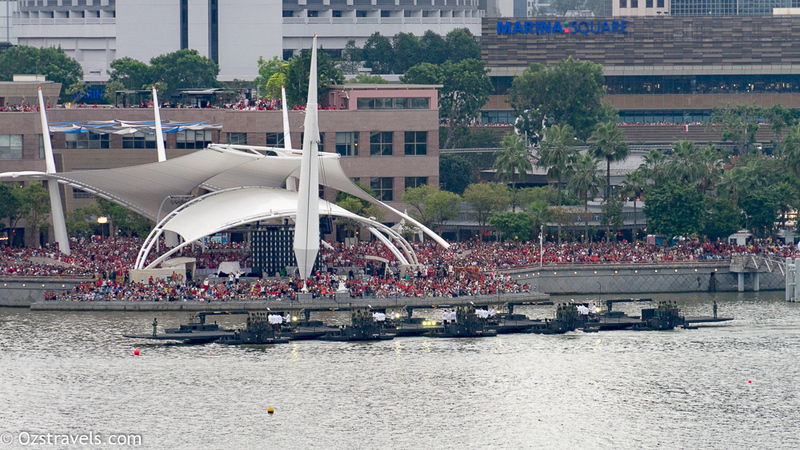 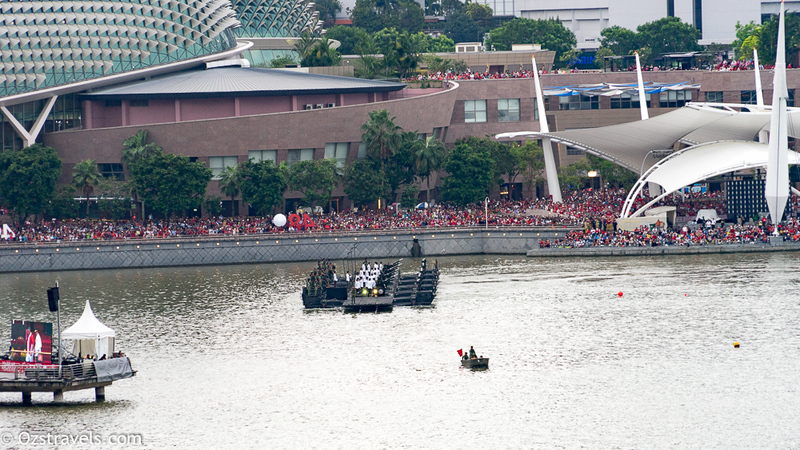 The entire Marina Bay Area was filled with people wearing red, made for a great sight. 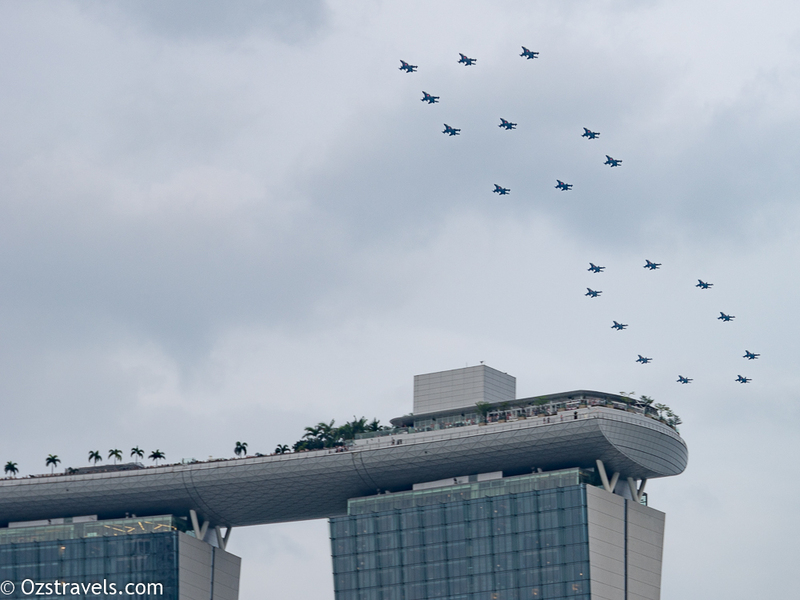 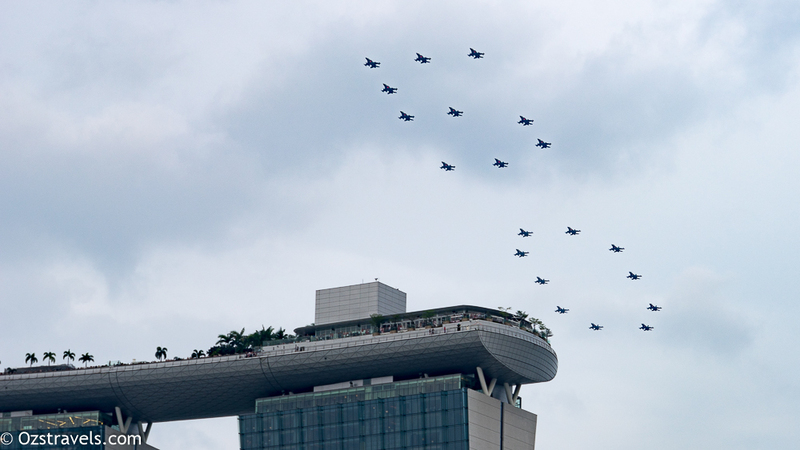 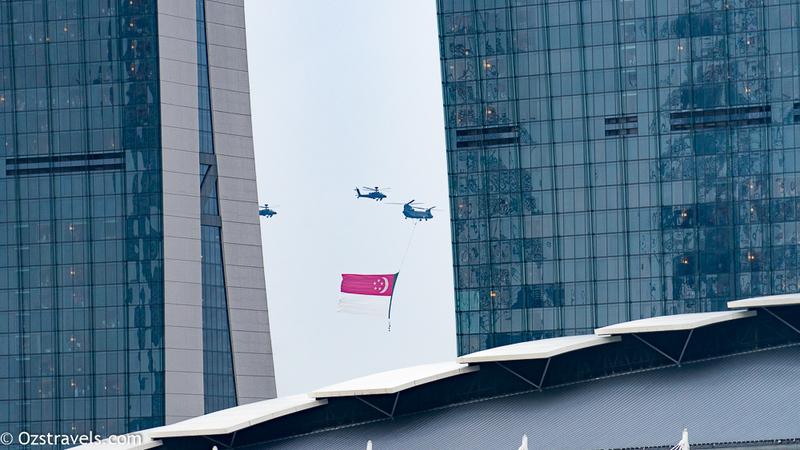 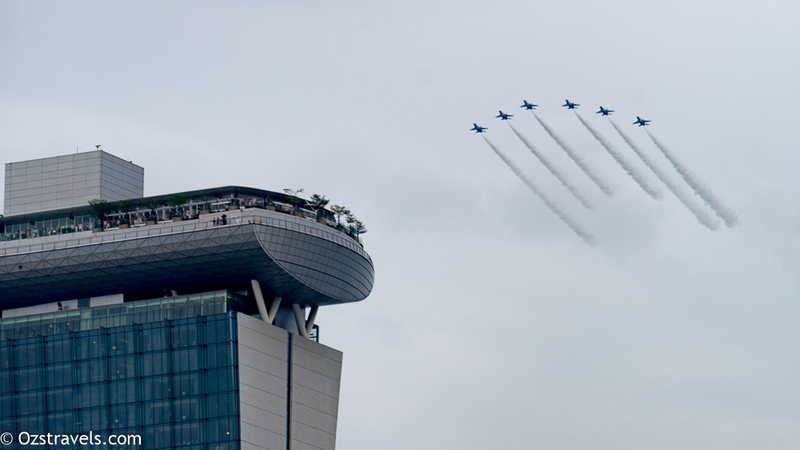 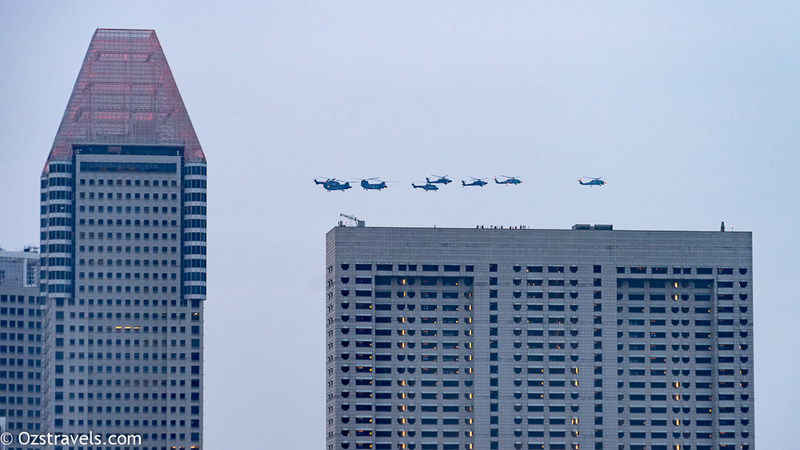 The first “act” of the fly-past was the arrival of the Singapore National Flag suspended under a Chinook Helicopter, was escorted by a pair of Apache Attack Helicopters, an impressive sight. 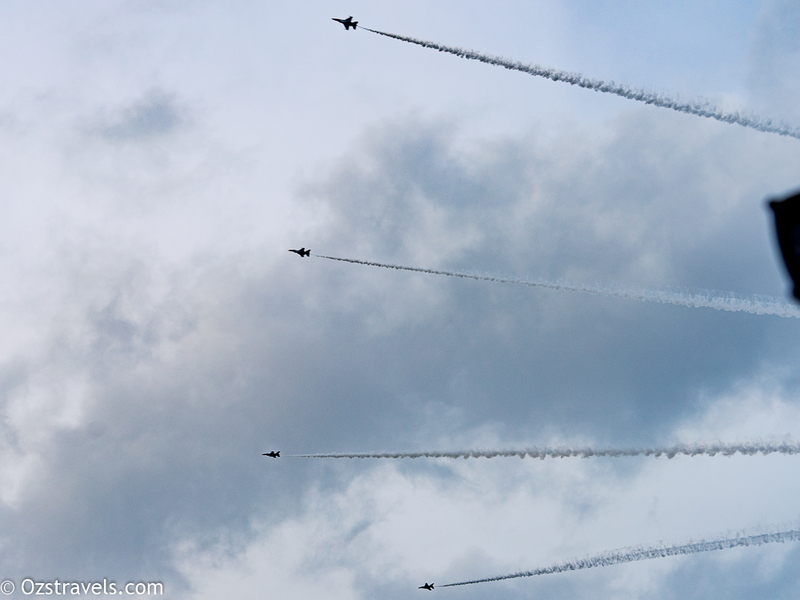 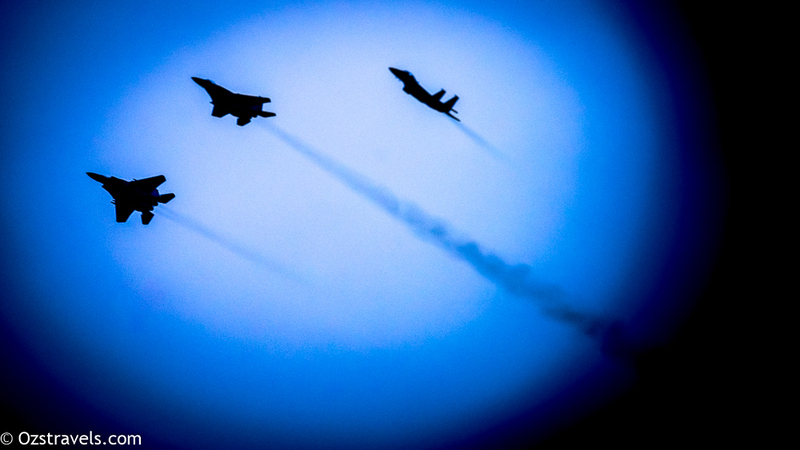 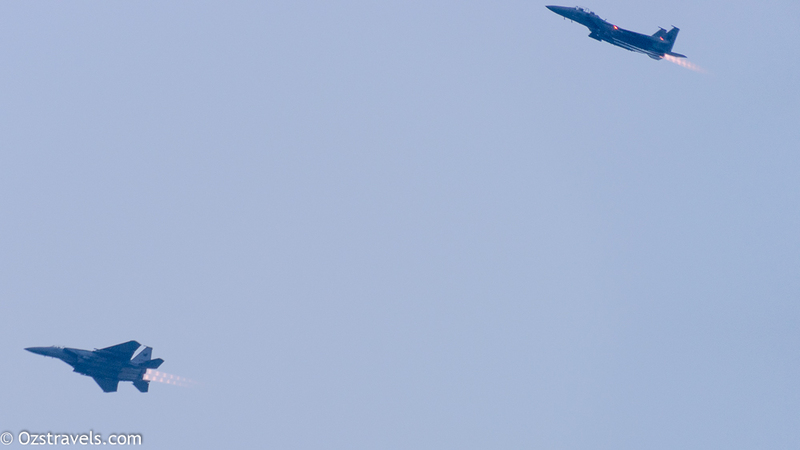 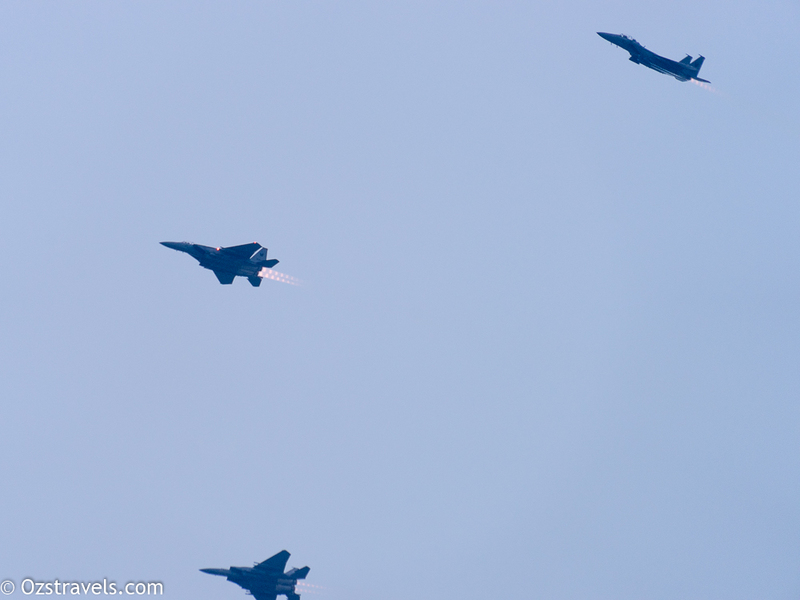 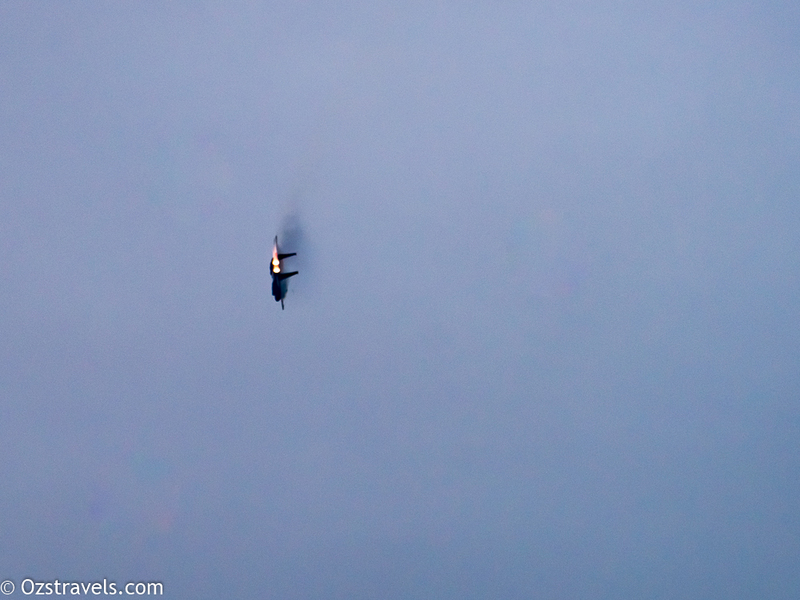 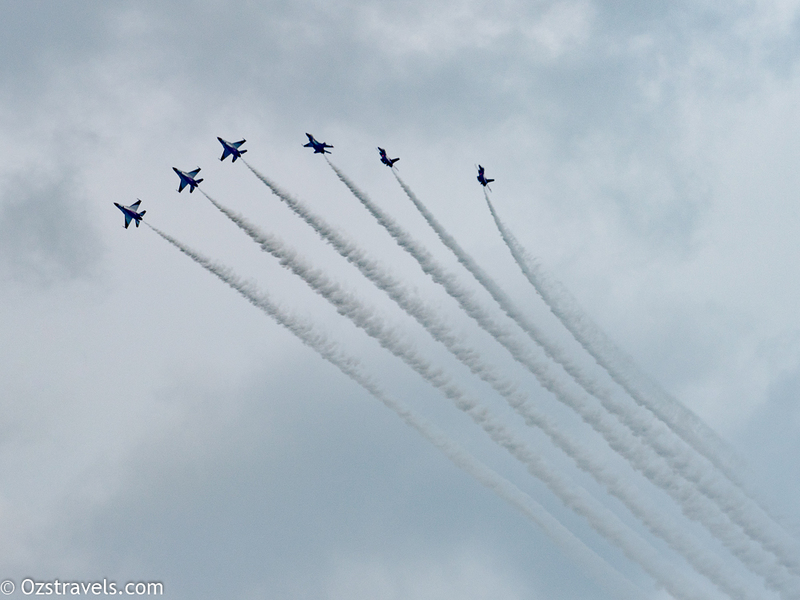 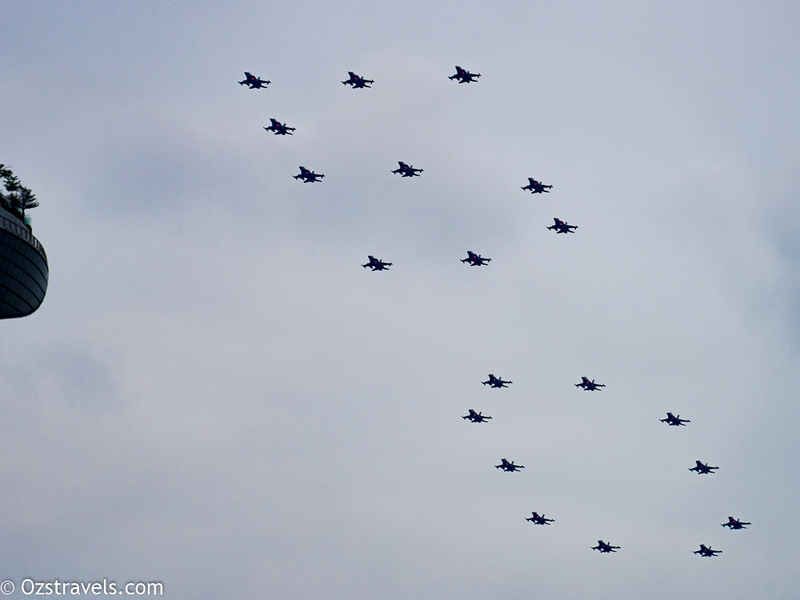 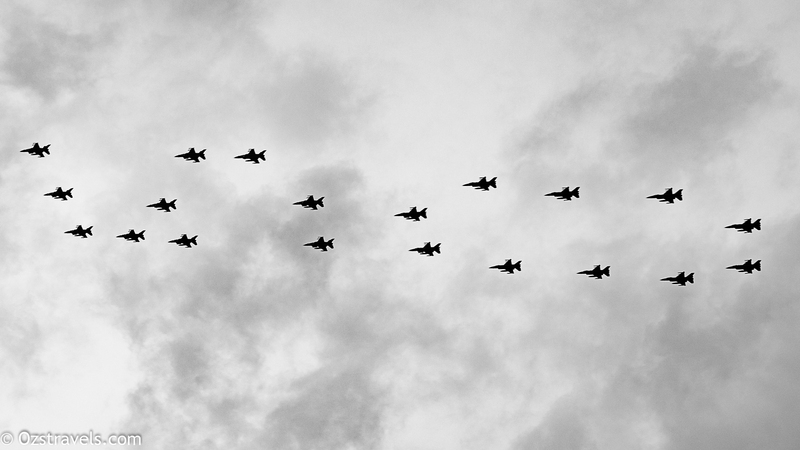 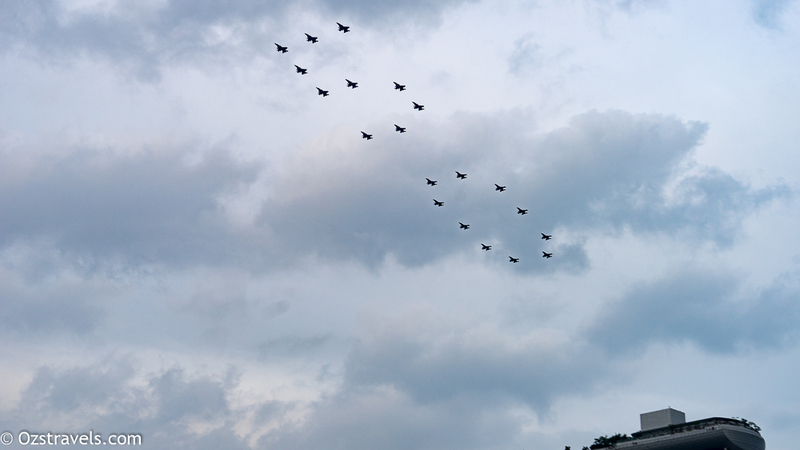 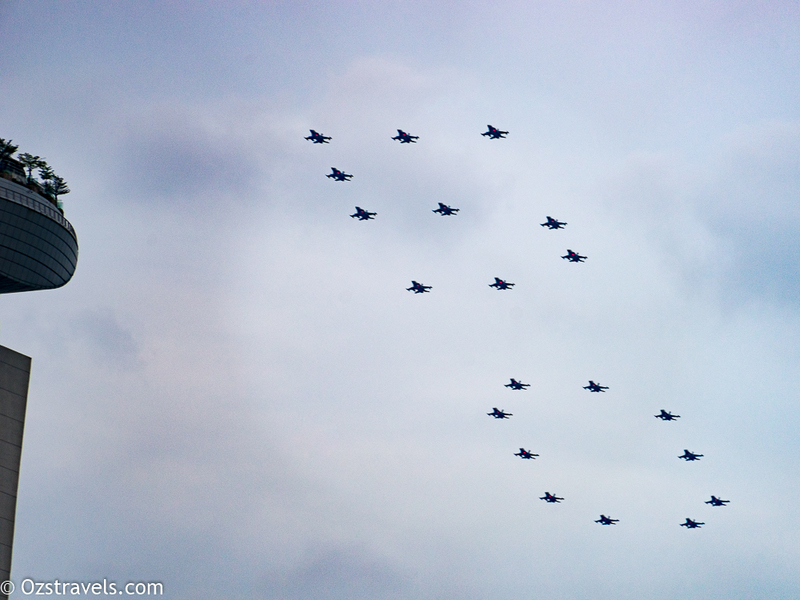 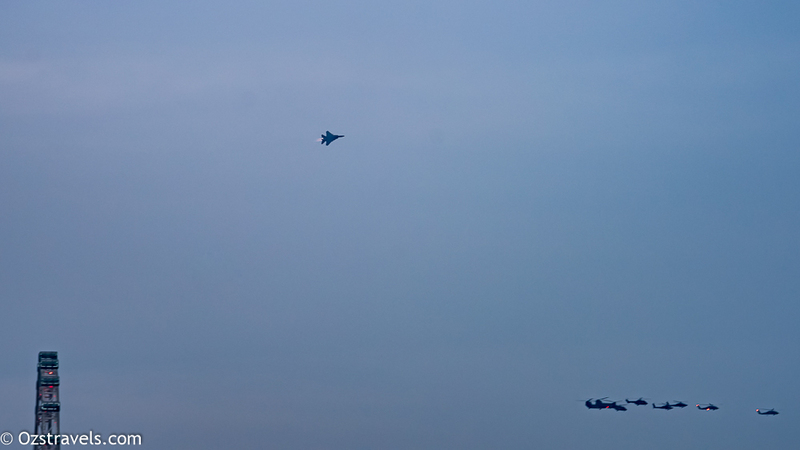 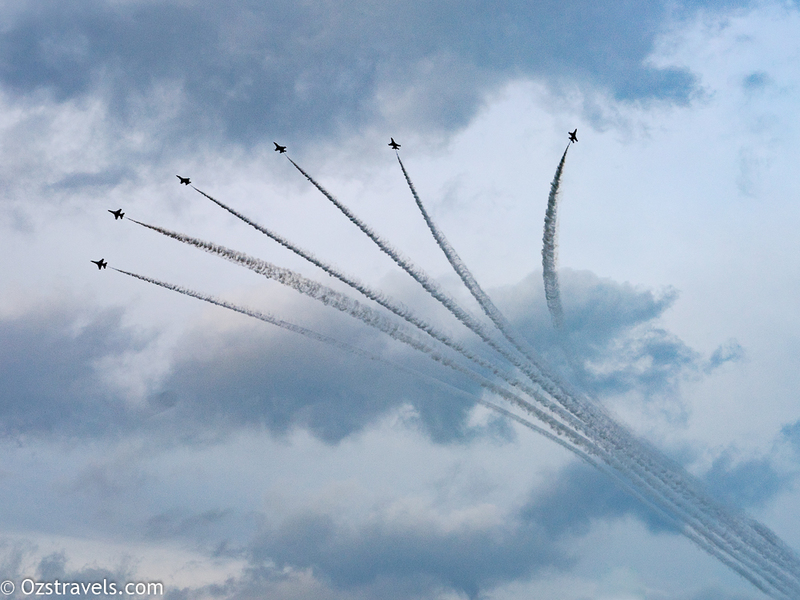 The 50 formation of F16 Fighting Falcons, was impressive, the practice paid off!! 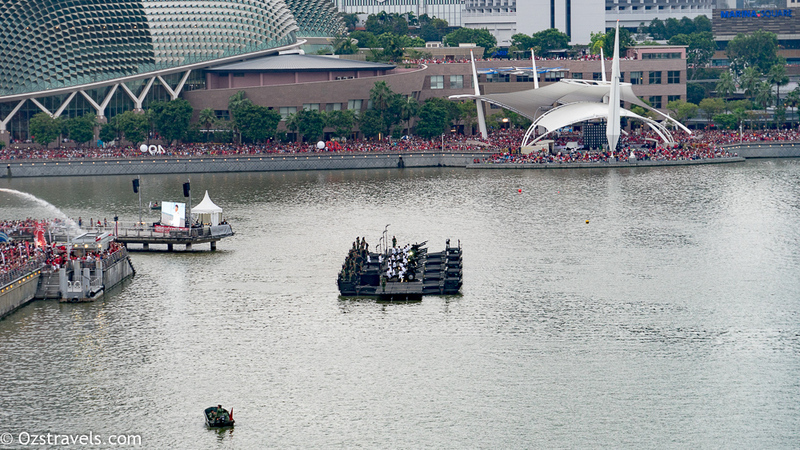 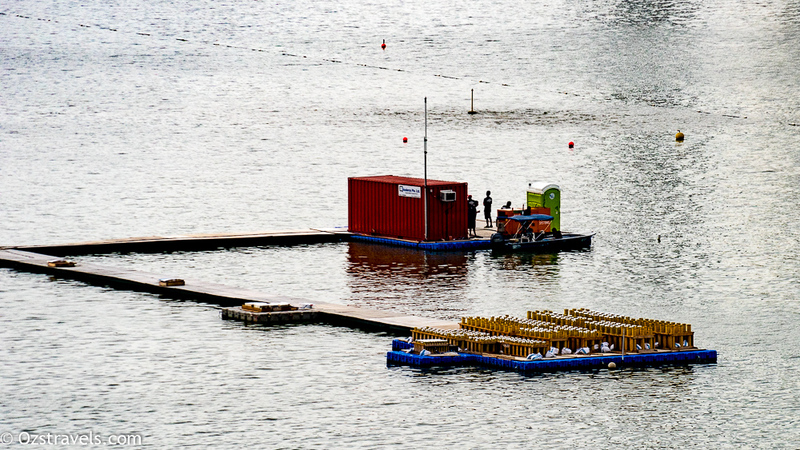 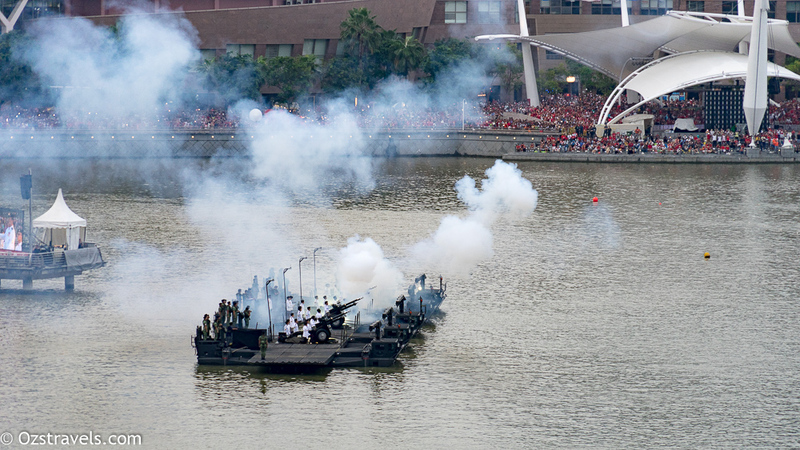 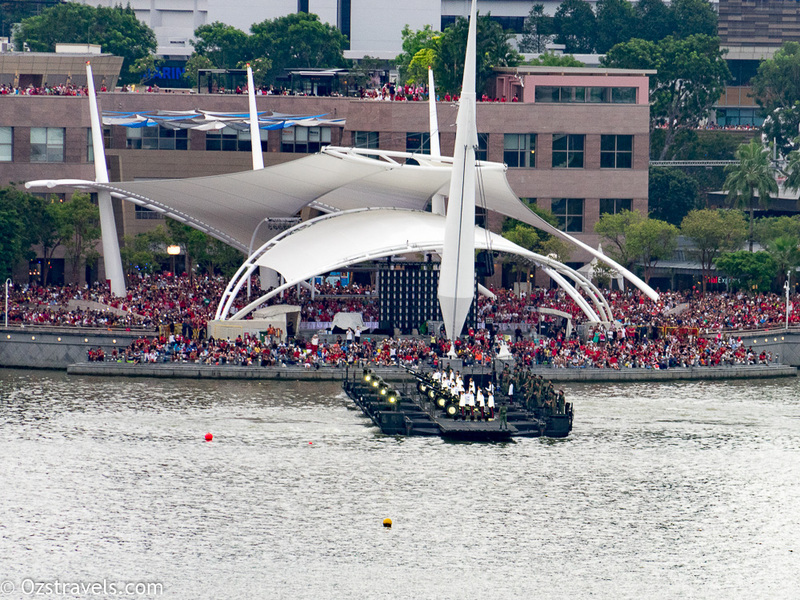 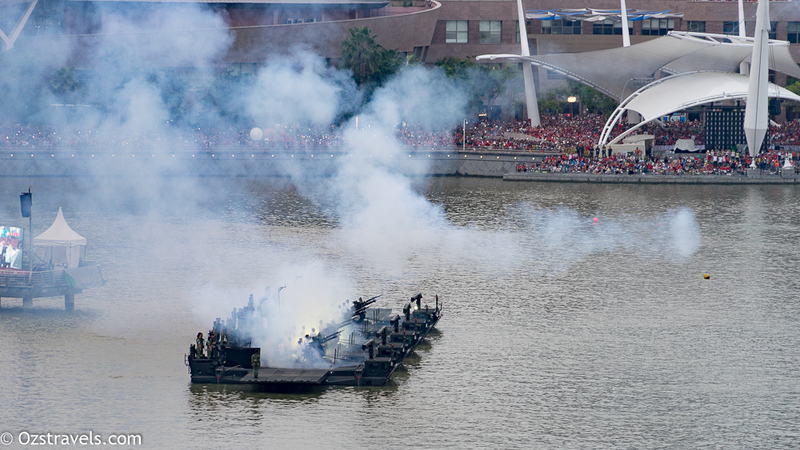 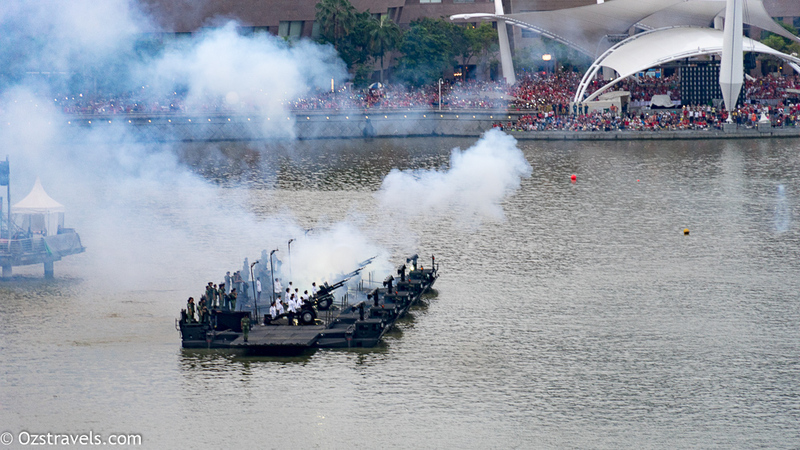 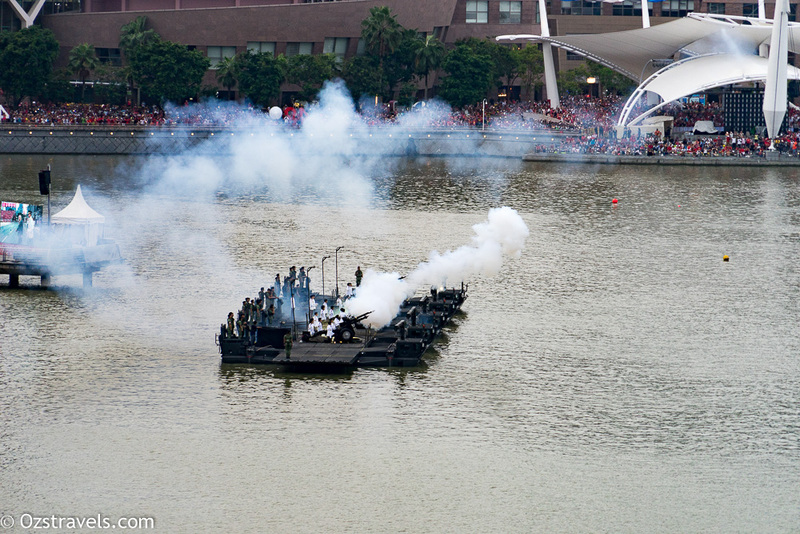 I know that the tradition is a 21 Gun Salute, but a 50 Gun Salute to celebrate the 50 years of the Republic of Singapore would have been, in my opinion, a nice touch. 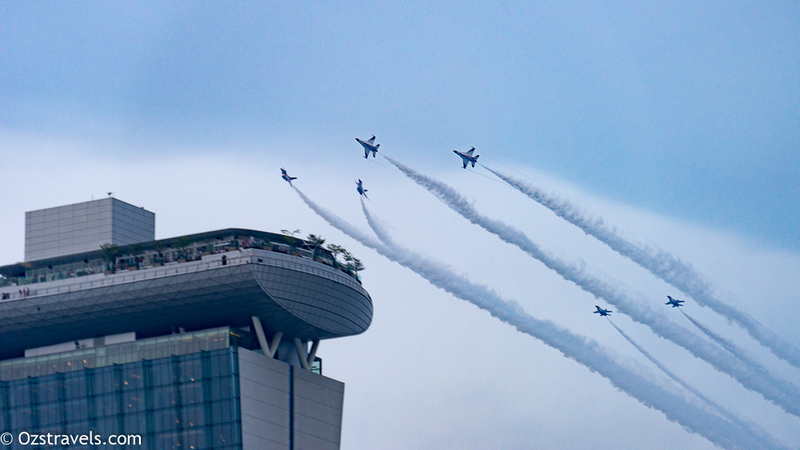 After the impressive fly-pasts and aerobatics it was time to for the fireworks display, being the official SG50 Fireworks Display I was expecting an impressive show, especially considering how good the fireworks were for the Opening and Closing Ceremonies of the 2015 SEA Games. 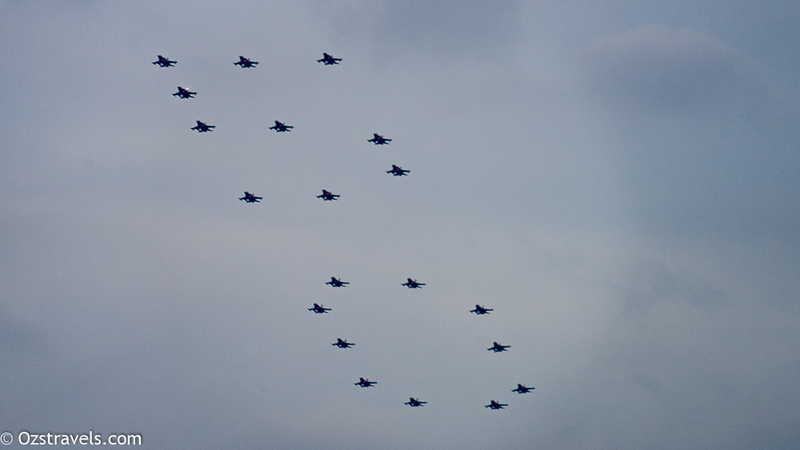 Unfortunately, in my opinion, they were fairly disappointing. 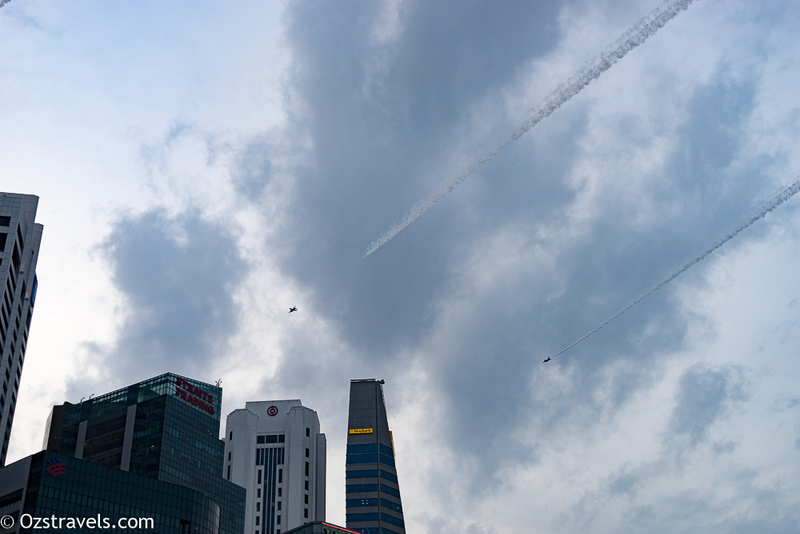 The flypasts and aerobatics were very impressive, but I felt that the fireworks were a bit of anti-climax, still Singapore proved, yet again, that it knows how to put on a great show!! 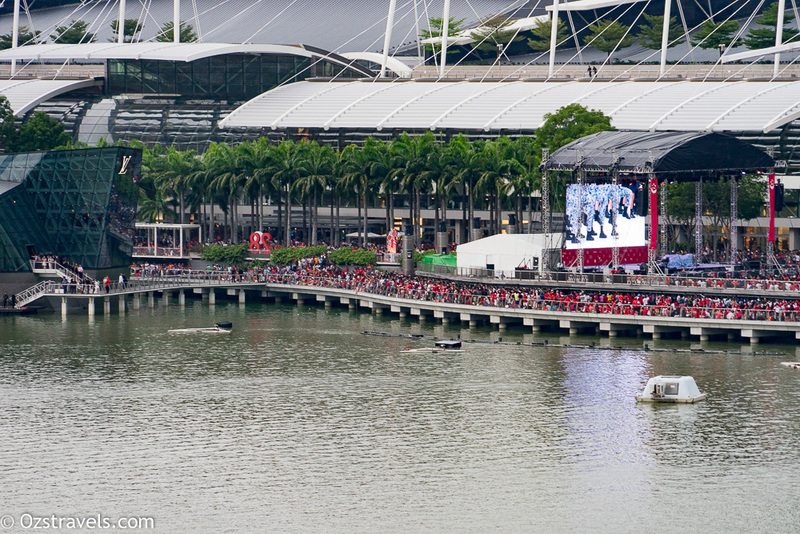 Next year, 2016, the National Day Celebrations will be held in and around the Singapore National Stadium, which I have a great view of from my balcony, can’t wait for that!